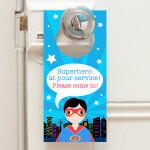 This superhero boy door hanger is great for a boy who thinks he can save the world one day! It will also make a fantastic little gift for any boy’s bedroom. The door hanger is double sided so is very thick and robust. 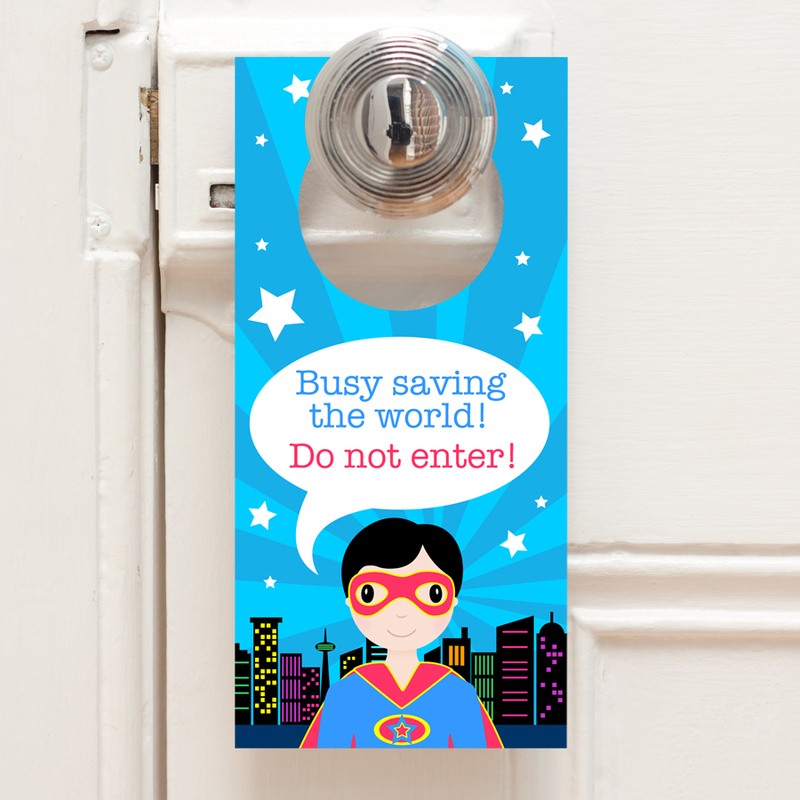 The design features a cool superhero boy, with the text ‘Busy saving the world! Do not enter!’ on one side and ‘Superhero at your service! Please come in!’ on the reverse side. The child can pick which side to display on their door, depending if they want company or not! Be the first to review “Superhero Boy – Double Sided Door Hanger” Click here to cancel reply.